So, the month of March was pretty intense, with three nor’easters in a row and a few feet of snow. Most homes in the lake lost power at least once. The good news is that the lake is now full to the brim and the warm weather is right around the corner. A big thanks to Susan Ulversoy for organizing another sold out Saint Patrick’s Day party. Attendees enjoyed a top notch corned beef and cabbage dinner that was expertly prepared on the premises by CLCC board member Devin DeMarco (and friends). The night was capped off with a beautiful performance by dancers from the Wick-Hegarty School of Irish Dance. CLCC Membership renewal notices have gone out. Please send in your dues as soon as possible, especially if you plan to participate in any sports or club activities, including patronage of the club bar. Speaking of which, the bar has been moved back upstairs now that spring is here. So come on by for a cold one–the deck is open. We will be holding a spring cleaning work party at the clubhouse in April, date to be determined. Volunteers will be provided food and refreshments. Jobs include sweepers, moppers, rakers, painters, stick picker-uppers and window washers. Details to come via email blast. I want to thank everyone who has helped out in any way over the last year, especially the board members, the CLLA and all of the volunteers who came early and stayed late on event days and a special thanks to the senior brigade. I want to thank everyone who has helped out in any way over the last year, especially the board members, the CLLA and all the volunteers who came early and stayed late on event days and a special thanks to the senior brigade. Our 2018 membership drive has begun and membership sign-up forms have been mailed to stockholders. Thank you to the more than 100 individuals and families who have already paid! Please return your completed form as soon as possible to membership chairperson Susan Ulversoy. If you have any questions, please comment below or contact us at membership@cedarlakecc.com. We are looking forward to a fun-filled 2018 at the lake! Not a Member of the Community Club? 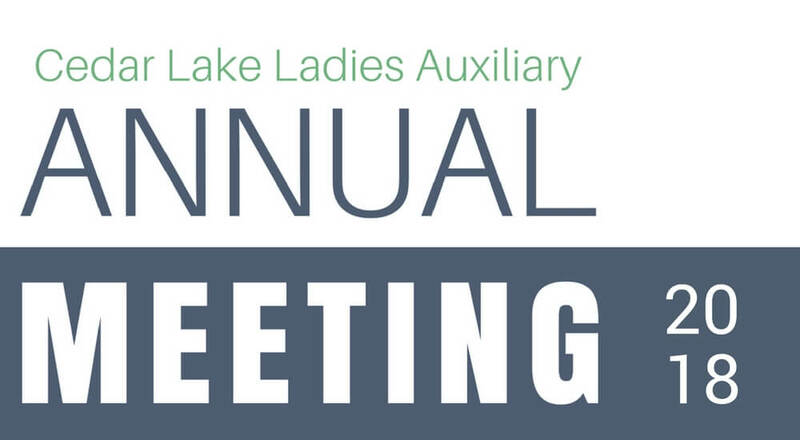 The Annual Spring Open Meeting of the Cedar Lake Property Owners Board will be held April 27th at 8:00 PM at the Clubhouse. This meeting is open to CLPO stockholders only. Stockholders are encouraged to attend and participate. As a reminder, if you are interested in serving on the Board, you can be nominated to the Board. Nomination cards are available from the Secretary and due back in July. This is an elected, volunteer position with a three-year term. Meetings are held on the third Friday of the month. Giving back to the community is one thing that makes Cedar Lake special. Membership and boat tag applications will be sent via email to all CLPO Stockholders and, for those that do not use email, a letter will be sent. The membership tag application must be completed and returned to the Secretary for processing. At least half of your Share of Expense must be paid in order for you to receive your tags. Stockholders are reminded that the annual Share of Expense of $475 was due February 1st. Installment payments of the $475 Share of Expense are acceptable. Tags will be delivered or mailed to you. Tags are required for admittance to the swimming facilities of the lake starting Memorial Day weekend (May 26-28th) and must be visible at all times while on the beaches, floats or Picnic Island. Boat tags (like membership tags) are required by Memorial Day weekend as well. Boats that do not have a 2018 boat tag are subject to removal from the Landings and a $100 redemption fee. 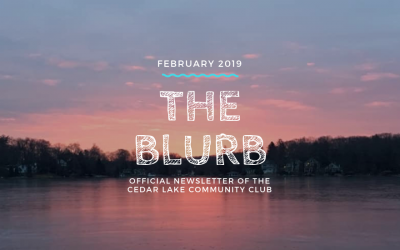 A Swim Program application for lessons and/or Cedar Lake Swim Team is also included in the mailing. If your child(ren) participates in swim lessons and/or the swim team, there is a required fee of $45 per child (up to $100 per family). The CLPO is accepting applications for Lifeguards for the summer season. Lifeguards must be a minimum of 16 years old and hold a valid Red Cross Lifeguard/Waterfront Certification and current CPR. No experience necessary. If you have lifeguarded in the past for Cedar Lake, you must re-apply each year. Please contact amystan11@gmail.com or at clpo2@optonline.net if you are interested in lifeguarding for the 2018 season. Due to the bad weather conditions in March, the planned landing repairs have been delayed. Landings will reopen May 1st. Please do not return your boats until that time. 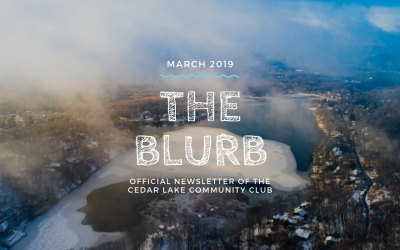 Cedar Lake belongs to a local sports association called Hub Lakes. This includes 11 local lake communities which compete in 15 sports. 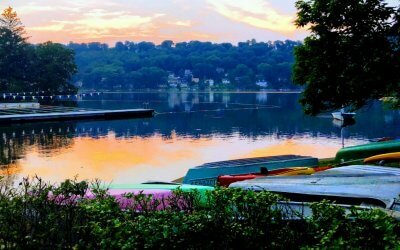 The lake communities include Lake Arrowhead, Cedar Lake, Estling Lake, Indian Lake, Intervale, Lake Parsippany, Mountain Lakes, Rainbow Lakes, Rock Ridge Lake, Lake Valhalla and White Meadow Lake. The rivalry between these lakes has lasted for years and can provide for a lot of excitement and fun. The 15 sports and coaches for Cedar Lake are listed below. Some teams are for adults, some for children, some for men, some for women, and some co-ed. If you are a Community Club member you are eligible to play on these teams. You don’t have to be an athlete, these are for average people who just want to socialize, have fun, and get some exercise. To get involved contact the coach of the sport you’re interested in or CLCC Sports Chairman Mike Fallon at hublakes@cedarlakecc.com. Up-to-date information and schedules can be found on the Hub Lakes website. Please consider becoming a Hub Lakes Booster; show your Cedar Lake spirit and cheer your team to victory! For only $15, your message will be displayed prominently on the Hub Lakes Boosters page. For more information, contact Mike Fallon at (973) 627-2510. The Blurb will include this Members Bulletin Board as a benefit to all CLCC members. Any member may submit items to be posted. This is a great way to keep your neighbors informed. For sale, for rent, garage sales, babysitting services, birthday wishes, and other announcements can be submitted. All submissions are due by the 25th of the month to be included in the following month’s issue of The Blurb. The size of notices will be dictated by available space and may be subject to editing. This space is reserved for non-commercial notices. Please send all notices to theblurb@cedarlakecc.com. The Riverview PTA Women’s Bowling League is still going strong. We are always looking for new members, to bowl as regulars or subs. Founded in 1975, it is a fun and social league for women of ALL AGES AND SKILL LEVELS. We have members that are new to the league as well as those that have been involved since the league began, but we need more. Please join this FUNtastic league! It is OK if you have never bowled before. You do NOT have to be a member of the PTA, nor do you have to have children in the school. Just come out for a great time. If you are interested but not sure you can make the commitment for the whole school year, please join us as a substitute. AS A SUB, YOU CAN BOWL FOR FREE. You also have the flexibility of bowling only when you choose. Just pay the one-time Sanction Fee, and the bowling is free. We bowl on Thursday mornings at 9:00 AM at Boonton Lanes. We do NOT bowl on any school holidays or school closings. We bowl at 11:00 AM when there is a delayed opening. The league runs from September thru May. If you are interested in joining us, please call Theresa McGinley at (973) 879-4325. Or, email us at ptabowling@optonline.net. Like us on Facebook. We are the dynamic duo high school sister team who does dog walking, pet sitting, and baby sitting. We are experienced in both areas and Red Cross certified. Please call us if you need any of these services. We promise we won’t let you or your pets down! 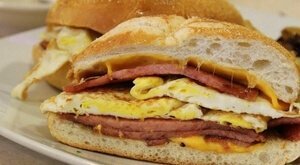 Our number is (973) 668-9491 or (973) 975-8901. Want to serve your fellow man? 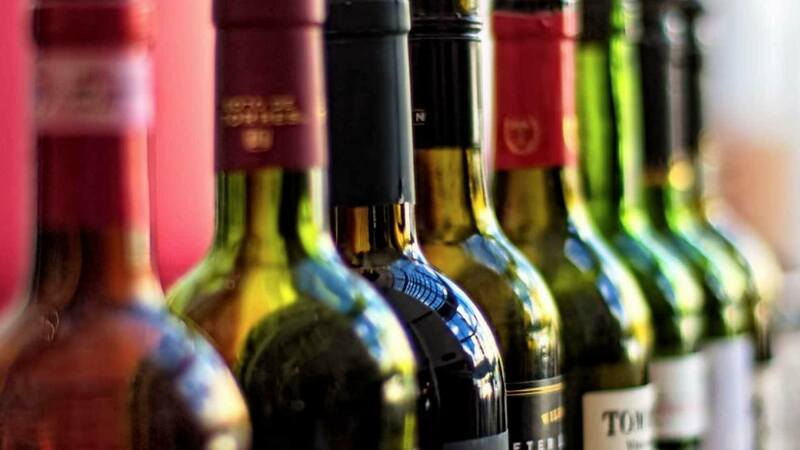 Join the Cedar Lake Bartending Team! Contact Matt Miner at bar@cedarlakecc.com for more information. Are you an online shopper? 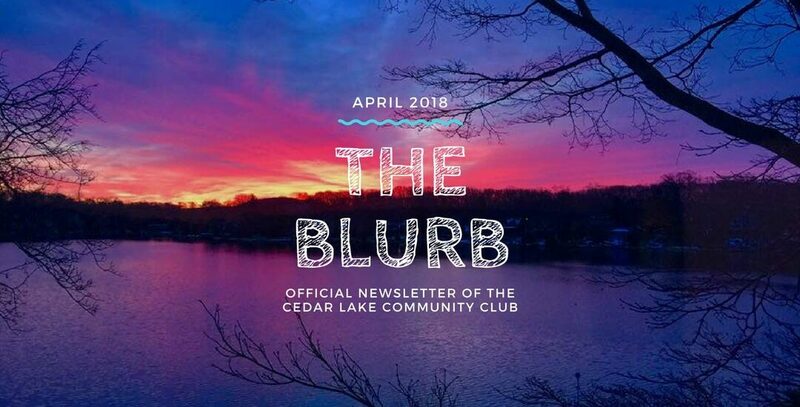 Did you know that your online purchases can help the Cedar Lake Community Club? Be a part of the first and largest online network of shoppers, stores, and worthy causes dedicated to turning everyday online shopping into much-needed donations. It’s never been easier to support a great cause – just by shopping and searching online. iGive.com is totally free, and you’ll never pay more by shopping through their mall. In fact, smart shoppers will love iGive’s free shipping deals and exclusive coupons. Shop at 1,800+ top-notch online stores, & maybe save on your taxes. Participating stores include QVC, Walmart.com, Expedia.com, Staples.com, Ticketmaster, Apple, Kohl’s, and many more. Best of all, up to 26% from each purchase is donated to us. Join today for an instant $5 donation to the CLCC. Raise a penny per search at www.iGive.com! Why not raise money every time you search the web? Try iGive’s search engine and enjoy free, easy fundraising for a good cause. Neighbors, we have decided to put our home on the market this coming spring. Text or call me if you or someone you know is interested in a unique opportunity to own a five bedroom lakefront house with 3,400 square feet. You can see see photos of it at zillow.com (search for 130 Cedar Lake West). Ninety percent of the house is all-new construction, including all new electrical, plumbing, insulation, roof, kitchen, bathrooms, etc. The kitchen is oversized and has custom solid cherry cabinets and a 9’x4′ granite center island. The dining room is very large and has panoramic view of the lake with large floor-to-ceiling windows. The living room is very large and has a beautiful stone walk-around fireplace with a large wood burning stove insert. The rec room is large and can easily fit a pool table, ping pong table, etc. All five bedrooms are large, and four of the five bedrooms have a lakefront view. The master bedroom has a cathedral ceiling, lakefront view, large walk-in closet and full bath room. There is a newly built deck with maintenance-free high-end Trex and railings. The deck is extremely large and overlooks the entire lake. There is a large walk-out basement and a large walk-up attic with an 8′ ceiling. Includes private parking for 7 cars, and public water and sewer. Also included are 5 kayaks and 2 rowboats. Call or text me at (973) 417-9526 if you would like to see it in advance of it going on the market in the spring. Serious inquiries only. Thank you! Need to add a birthday or anniversary to the list? Please contact theblurb@cedarlakecc.com. Recently, I have spent some time visiting my parents at the lake and I would like to compliment the Cedar Lake Community on how good the lake facilities look. There have been many improvements since growing up there more years ago than I care to admit. Special kudos to those who took part in the rid litter day the boat racks look great. Seeing you work on them brought back many memories of painting various items in my youth. Can’t wait to see the improvements on the west beach.